Two States. Two Events. One Mission. Finding and keeping good help on an operation is one of the most crucial elements to consider in agriculture. Is the candidate right for the position? Is the operation right for the candidate? There are numerous factors to ponder in making sure the employee, employer, and product are all cohesive in order to meet the end goal. Easier said than done. Hiring good employees on the farm or ranch is a multi-step process and one of the most important steps is the interviewing process. The event is free to job-seekers and registration is not required. Employment vendors and job postings will showcase a multitude of opportunities available in the ag industry and attendees will have the ability to visit one-on-one without the pressures of a structured interview. For more details, or if interested in participating as an employer, contact Kelsey (Snyder) Ruzicka at 877-347-9109 or kesnyder@tsln-fre.com. Does your resume need fine-tuning? Get tips and tricks to the job search, application and interview process for job seekers. SD Dept. 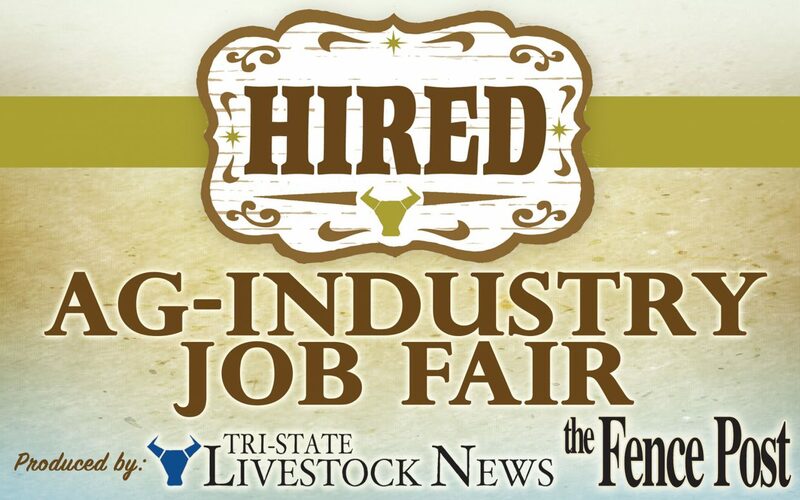 of Labor will also be providing on-site resume assistance throughout the HIRED job fair brought to you by Tri-State Livestock News. Is finding the right employee like finding a needle in a hay stack? Our workforce culture is always changing and so has the hiring process. This workshop will discuss the changing agricultural workforce, how to maneuver in it and how to make it fit with your legacy plan. Get tips and tricks to the hiring process for employers and small business owners. Does your resume need fine-tuning? Get tips and tricks to the job search, application and interview process for job seekers. Weld County Employment Services will also be providing on-site resume assistance throughout the HIRED job fair brought to you by The Fence Post. Is finding the right employee like finding a needle in a hay stack? Our workforce culture is always changing and so has the hiring process. This workshop will discuss the generational differences we experience in the agricultural workforce and how to maneuver in it. Get tips and tricks to the hiring process for employers and small business owners.